Revered by many as a national hero, Abdul Sattar Edhi created a charitable empire out of nothing. Edhi breathed his last at a hospital in Karachi late Friday night. 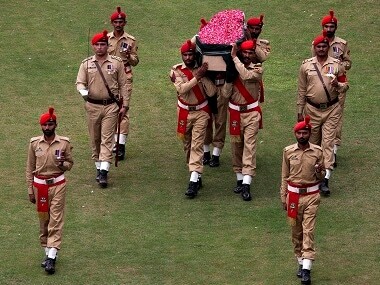 Pakistan gave Edhi a state funeral in recognition of his services to the country. A 19 gun salute was given, army spokesman, Lt. Gen. Asim Bajwa, tweeted. 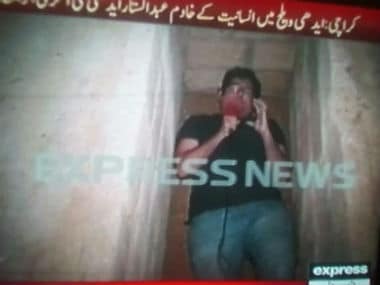 In a case of bizarre reporting, a news reporter carried out an "Exclusive" from inside Abdul Sattar Edhi's grave in Pakistan. 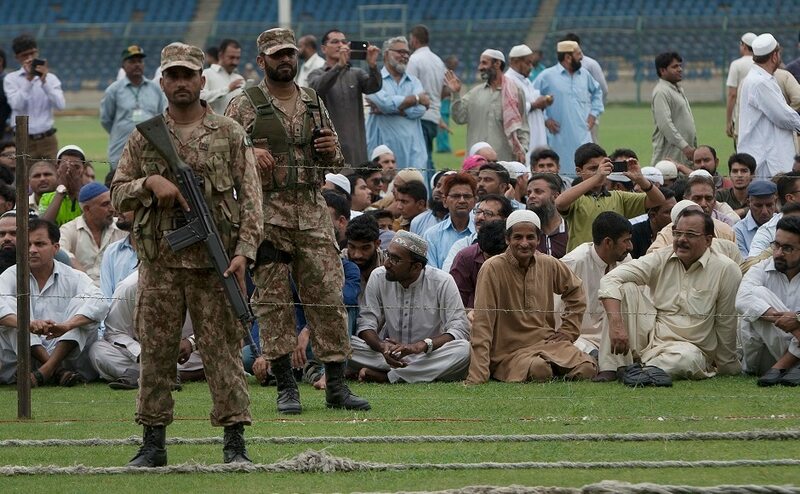 Pakistan's top civilian and army leadership offered funeral prayers at the stadium, as the country mourned the loss of Abdul Sattar Edhi. 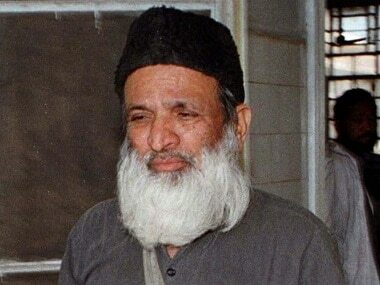 Edhi lived in a bare room in Karachi, alternating between his two suits of black clothes and occasionally listening to recordings of Koranic verses on a battered old tape recorder. Edhi, who founded the Edhi Foundation decades ago, runs one of the biggest fleets of ambulances, and dozens of clinics and orphanages in Pakistan. 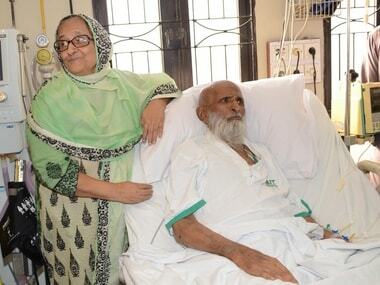 Pakistan's charity foundation Edhi on Tuesday turned down Rs one crore donation announced by PM Modi for taking care of deaf and mute Indian girl Geeta.